As we’ve noted in the past, garages can serve a lot of different purposes. They can store your automobiles and recreational vehicles, of course, but they can also serve as workshops and hang out areas with a few good upgrades and renovations. Leaking fuel, or loose caps on fuel containers, can quickly become a hazard, especially on a warm Calgary summer day. And, even without the risk of flames, they can be a health risk for adults, kids, and even pets. Not only are broken garage windows a security risk, but they affect the climate control and energy-efficiency throughout the rest of your home. Plus, having broken windows can lead to pests and other problems found elsewhere on this list. Letting wasps, bees, and other insects build nests in your garage is a bad idea. They can spread to other areas of your home, and can injure (or intentionally kill) visitors and pets who are allergic to their stings. The longer you let them grow and spread, the more difficult and expensive they’ll be to get rid of. It’s easy for loose nails and screws to find their way onto the floor of your garage, especially if they spill out from a jar or a toolbox. Stepping on one is a good way to ruin your day ( and could require shots to deal with), and they can destroy expensive automobile tires, too. Even if you live in a very safe neighborhood, you should ensure that all the locks in your home work, and work well. 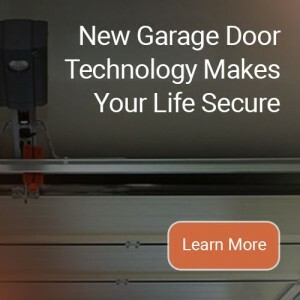 This is particularly true for those on your garage, since thieves are more likely to access these areas, and get inside from them, without you hearing them from inside your home. It’s surprisingly common for us to find dangling wires in old garages. These can shock and injure humans, and can also be responsible for fires. Even wires that aren’t currently connected to power should be cleaned up by a trained electrician. Loose shingles on your garage roof can allow moisture to get underneath. That makes it likely that mold will develop and spread through your home, and that the structure of your roof (and eventually the garage itself) may be weakened and eventually collapse. Cracked cement can be fixed with relative ease, unless it goes untreated. Then the cracks spread and you may find that your entire garage floor has to be replaced and re-sealed. The longer broken a appliance sits in your garage, the less likely it is to ever be serviced or repaired. Plus, lots of pests and animals can make homes in broken washers and dryers. Even if you have excellent insulation and climate control in your garage, keeping important documents there is risky. For one thing, most garages are exposed to some degree of wind, rain, and snow. And for another, thieves may steal boxes from garages that they wouldn’t be able to find in a home safe. Having containers of poison or pesticide lying around in your garage is just asking for trouble. Kids and pets can both find their way into areas that they shouldn’t. When they do, you want to ensure they won’t find anything that makes them sick. There’s nothing wrong with having gardening or woodworking equipment in your garage, of course — just be sure you can see it so you don’t end up injuring yourself (or someone else) because of hidden sharp or pointy ends. 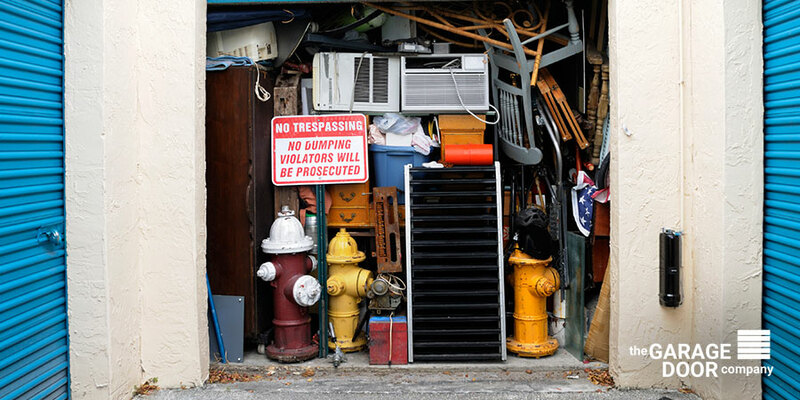 Do you have any of these problem areas in your garage? If so, we urge you to take care of them right away. And remember: damaged or broken garage doors can be dangerous. If yours need attention, call a member of our team today to arrange service at your home.